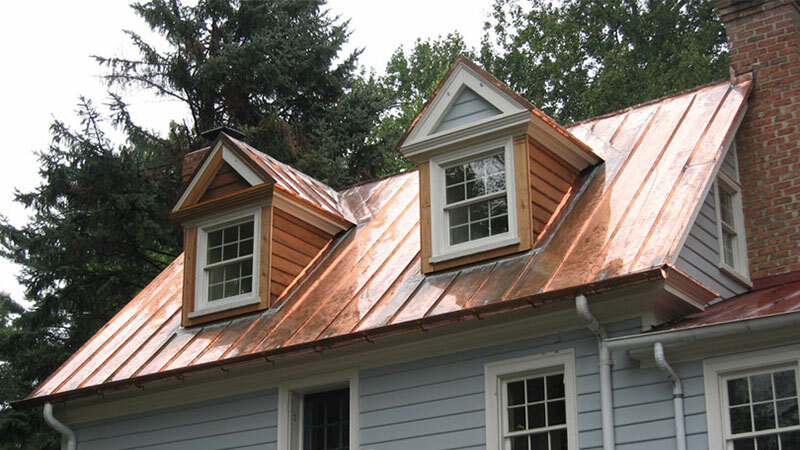 You may or may not have heard of copper roofing nails for construction. In fact, unless you are involved in roofing or construction work yourself, you probably have no idea what these types of nails are. However, you probably do know what regular nails are. We often talk about nails as if they are one and the same thing but there are actually many different types, sizes, and application ranges. Let’s take a look. The smallest nail is a tiny little panel pin that only has to be topped very gently with a small hammer. The bigger ones are the size of an arm and are used to make sure railway lines get attached to sleepers and they require an electric sledgehammer to be driven home. Nails are used just about everywhere, from agriculture to industry, from manufacturing to construction, and from aerospace to home use. You can get common nails just about anywhere, including in hardware stores and grocery stores. Usually, these are made from a thin steel wire and have a sharp point in a flattened head. We often associate these with hitting our phones and swearing a lot. While these nails certainly have an incredibly important purpose, the uncommon variety is so much more interesting. Nails can be made from copper, brass, or hardened steel. Some have rings or grooved shanks and others have decorative heads. They can be used from roofing to furniture upholstery and from horseshoes to carpentry. Some nails also have really interesting names. For instance, there are bright ones, ring shanks, clouds, upholstery nails, slate nails, and cut clasps. Some only require a hammer to be driven home whereas others require a pneumatic tool. Brad nails, for instance, are rarely a fixed by hand. Instead, Brad nails are glued together almost like Staples, which is then inserted into the two. This then shoots them into the material. Brad nails have a really interesting head because it ensures that there is a slight countersink. While they do leave a hole, wood putty can then be used to hide this. Another example is the hardened steel mill, which can be used on concrete using a special nail gun. These types of guns actually use blank .22 cartridges. Roofing nails are per most interesting ones of all. They are designed to fix corrugated iron to a wooden trusses. These types are often made from copper and have a very long shank, a fluted shaft, and a large head. You can also attach a lead washer to this. The nail and shows that the wind will not loosen them up, while the washer waterproofs the construction. Some people have shingles or asphalt tile roofs, which require a different type of nail although these both also have a large flat head. If you are ever involved in any drywall installation, you will not only require specialized skills, you will also require that the right nails. A drywall nail has a ring on the shaft, which stops the mail from being able to get pulled out. Furthermore, these nails I have indented heads. Meanwhile, masonry and picture nails are constructed using hardened steel but cannot support a heavy weight. Previous Post How Do Reputation Management Firms Work?